Flowers bring light and happiness to people's lives. 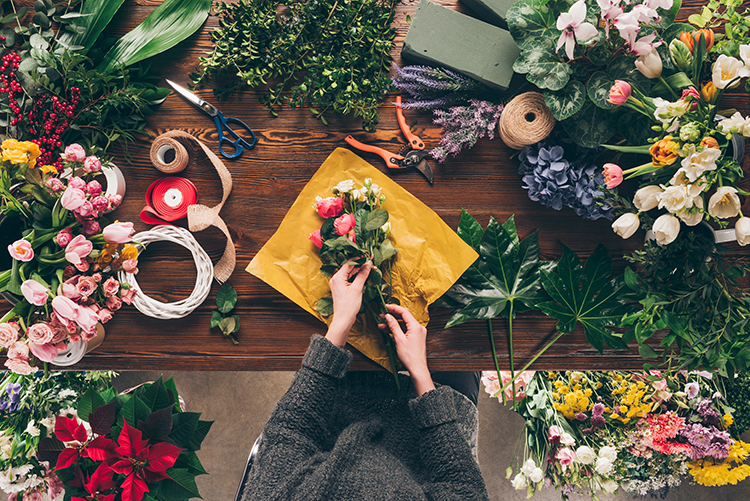 Whether you have a wedding to plan, an upcoming anniversary, or you're simply decorating your home, it's essential to know a good florist in your community. Fortunately, Oklahoma has plenty of them. It doesn't matter if you need roses and carnations or tulips and daisies, these 10 amazing florists will put together something beautiful for you. In 2017, Capitol Hill Florist and Gifts celebrated its 85th anniversary. The business was founded in 1932 and is now on its third generation of family ownership. They have two locations serving the metro with same-day delivery. This florist got its start as a Ben Franklin Store years ago and over time transformed into the store you see today. It’s locally owned and operated. In the fall, it’s one of the best places to find Christmas decorations. They deliver to the entire Tulsa metro area. Trochta’s Flowers bills itself as “Oklahoma City’s Largest Retail Greenhouse and Florist.” This florist has been serving OKC since 1950. In 2018, it was Reader’s Choice Winner in The Oklahoman. You’ll find unique designs, tropical plants and much more when you visit their store. You’ll find modern and unexpected combinations in this flower shop that is locally owned. It has some great ideas for weddings, receptions and other events, but they specialize in creating beautiful bouquets to be delivered to your loved one. Upscale, unique, contemporary and exotic describe the arrangements out of this flower shop in north Oklahoma City. It’s a family-owned business that has been around since 1990 and does excellent work for all kinds of occasions. This flower shop opened in 1905, long before the floral business was shipping flowers around the world. Josephine DeHaven brought fresh and exotic flowers to Tulsa and created artistic works of art for parties that gave her a name in T-Town. With rave reviews online, you know customers must really like this shop that serves the Norman area. If you live in Norman, you’ll want to get your Mother’s Day and graduation orders in now, because both events are happening on the same weekend. This florist gets booked up early, so don’t wait. Barbara’s Flowers serves the Sulphur area with beautiful bouquets that will make your loved one feel special. They also do lovely body arrangements, i.e., boutonnieres and corsages, for prom. Scott’s is about to celebrate their 50th anniversary of delivering high-quality fresh flowers to residents in the Lawton area. They have a great reputation. Readers of the “Lawton Constitution” have voted them “favorite florist” since 1999. Madeline’s is a third-generation flower shop that has been providing stunning bouquets for over 60 years. Just tell their designers what your loved one likes, and they’ll design a unique arrangement. View more Oklahoma Bakeries and Pastry Shops.